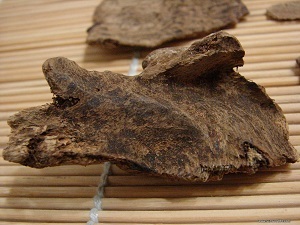 Uses of Gaharu were stated in the book which lists all the plats, animals, minerals, and other objects that were believed to have medicinal properties. Also its medicinal uses have been recorded in traditional medical systems including Tibetan, Ayurvedic and Unani. Medicinal properties of Gaharu are stated as mild, absolutely no toxicity and regulate the human endocrine system. With its aroma, it can clear stuffy nose, stimulate the brain cell activation in the cerebral cortex and the function of the body's internal organs. Its basic function are to promote the Qi circulation in order to relieve pain, warn the middle Jiao to arrest vomiting, and control respiring Qi to relieve asthma. Storage Condition: Keep in a cool, Dry place.